Having a good acclimatization is essential for the fulfillment of hiking and climbing activities in the Andes, since it is at a high altitude (more than 4000 meters above sea level). The soroche or acute mountain sickness, also known as MAM, is something very simple: it is the lack of oxygen in our body. As we ascend, the air pressure decreases therefore the oxygen level is also lower. On average every 100m that one rises above sea level loses 1% oxygen. The human body has the ability to adapt to the environment. We can see that people who live at high altitudes have a morphology different from ours. In addition to having a greater number of red blood cells in the blood, they have a cylindrical rib cage much larger than ours. By rising in altitude, the body reacts by producing more red blood cells that allow us to capture more oxygen. This is why one feels tired, especially the first day in height. For the maximum values ​​of oxygen uptake, you will need an acclimatization of one month, however, we can say that after 10 days you get three quarters of your maximum capacity and that after 5 days, you already have an acceptable acclimatization. Each organism is different and reacts differently to altitude. Those who have experienced acclimatization are less susceptible to the sudden change in level, since the body retains memory at height. Some people are particularly affected from 2,500 meters above sea level. Another aspect that has not been proven scientifically, however, is that the MAM also depends on the geographical area and, especially, the nature of the terrain (latitude, mineralogy, geology, magnetic field, radiation, etc.). MAM is recognized for headaches, nausea, vomiting, intense fatigue and insomnia at night. Normally it occurs 2 to 4 hours after climbing at altitude. It never completely disappears, even if you have excellent acclimatization, the intensity will be lower. Simply by a few hundred meters, MAM decreases. Between 4000 and 5000 masl, we can be the victim of a pulmonary edema, especially the first 4 or 5 days in altitude. One coughs, spits, has breathing problems, possibly some fever that is mistaken for an infectious condition. Within 12 hours of the patient's condition may be worsened by cyanosis or a coma. The only decision that can be made is to evacuate as quickly as possible to lower 500 m. without making effort, if possible 1000 m. Once stabilized, the patient must descend below 1500 m. Oxygen and some medications can help stabilize the victim such as aspirin and Diamox. The hyperbaric chamber is also of great use and allows to instantly take a person artificially to an altitude of 1500 meters above sea level. Above 5000 m, MAM can develop into cerebral edema. Symptoms start with a bad mood, unbearable headaches, vision problems, vomiting, and if it does not go away quickly, you can fall into a deadly coma. There is no law that requires an acclimatization, experts recommend that from 3500 meters above sea level. You should not climb more than 500m of altitude per day during the process of acclimatization. It should not rise above 2500 masl: people who have heart disease, respiratory failure, blood diseases, psychiatric problems, pregnant mothers, babies under 18 months and for those suffering from chronic bronchitis, asthma caused by cold or the effort and, obviously, all the diseases or conditions that require special care. With a good acclimatization let's get used to the altitude little by little. 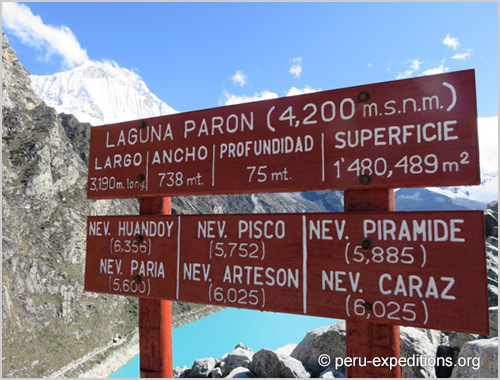 Go from Lima to Huaraz and go through Conococha at 4100 masl, without realizing it, an acclimatization process begins. After a good night in Huaraz at 3100 m. we can do a small walk in which 4500m is approaching. 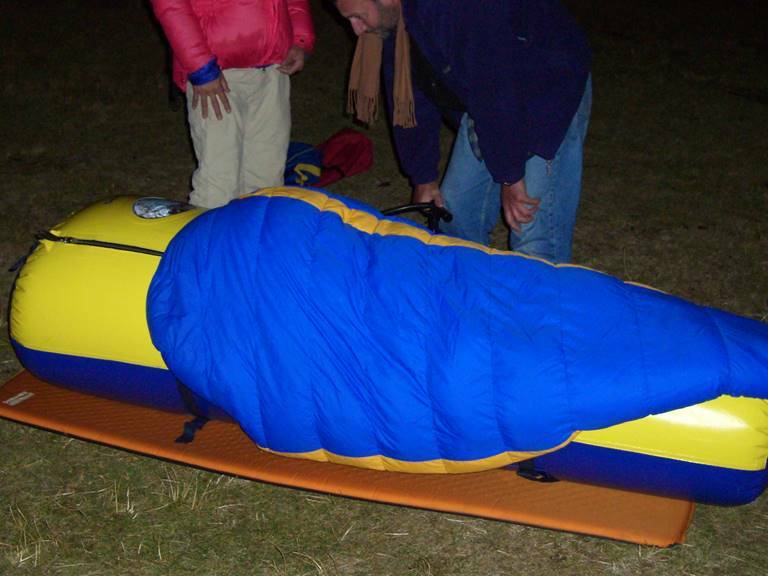 We suggest spending the first 3 or 4 nights below 4000 masl in order to avoid any discomfort. 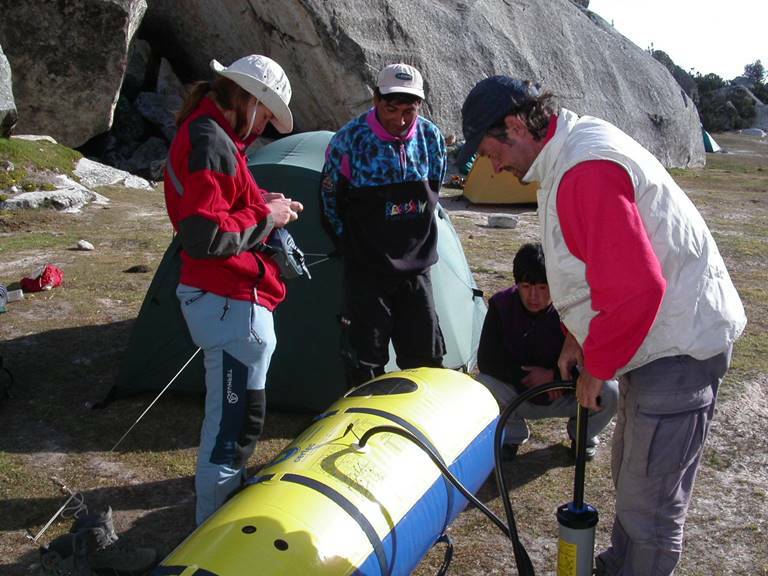 To be prepared to venture on the summits, you must spend a few nights between 4000 and 5000 meters above sea level. This is the time and height enough for our body to get a good acclimatization. A consequence of altitude, sun and effort is dehydration, it is very important to drink a lot of liquid during the day (3 to 4 liters). Drink the famous coca tea and muña muña, energetic and very good to fight against MMA. We also recommend taking Aspirin 100 mg the first 4 or 5 days (except menstruating women) in the morning and evening, it will help to dilute the blood and overcome the headache. In addition, you can take homeopathic granules, such as COCA 5, 7 or 9 CH (concentration of the famous coca leaf). We recommend not taking DIAMOX: Diamox is a great drug that is used only when there is an edema. If you take DIAMOX, it will make it much more difficult to detect and correctly diagnose MAM or an edema by our guides, for lack of symptoms the guide will recommend rest when it could be a serious case that requires an evacuation. To be healthy and have enough energy for the effort that your body will face, it is essential to have a good diet (with lots of carbohydrates, proteins, trace elements and vitamins). During the first 24 hours of going up in height, you will lose a bit of appetite and you need to maintain a good diet despite this. When making the first walks, walking slowly and controlling breathing are essential. Since the body is producing more red blood cells, the spinal cord and the liver will be working more than usual, which is why you should not consume fatty foods and alcohol for at least the first 24 hours. It is easy to confuse MAM with upset stomach, people often turn yellow! We also recommend not eating anywhere; the hygiene standards in Peru are not similar to those in Europe! Above all, be careful with fried foods, they are heavy and your liver will have a bad time. Follow the advice of your guide.